It's cliché but true — your presence is the best present! The holidays are filled with family and friends coming over for the festivities, but how many of us are guilty of hiding behind our smartphones and other devices? From Hanukkah to New Year’s Day, we're daring you to put down your smartphone, close your laptop, turn off the TV and just be present with your loved ones. 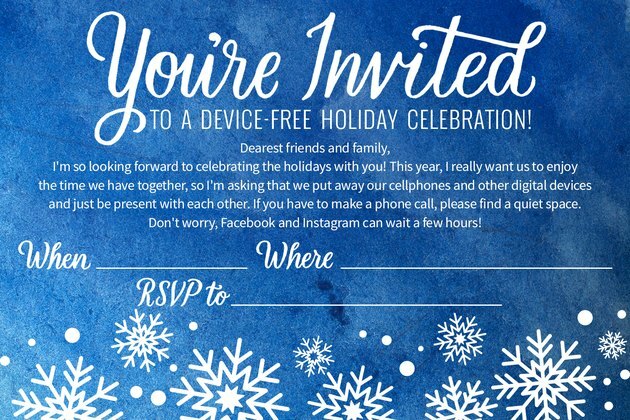 Or, choose to have a phone and tablet-free holiday gathering, but let your guest know in advance with our printable party invitations. Whenever family and friends are around, there's no texting, no checking email and no posting to social media. Put away all electronic devices and focus on having deep, meaningful conversations. Or at the very least, some fun small talk with people you haven't seen in a while. Sure, maybe you don't really get along that well with Aunt Deborah, you haven't seen your cousin Marcus in years and you don't have that much in common with your brother-in-law. But you're family. And they deserve better than the top of your head and half-hearted responses as you scroll through Instagram. 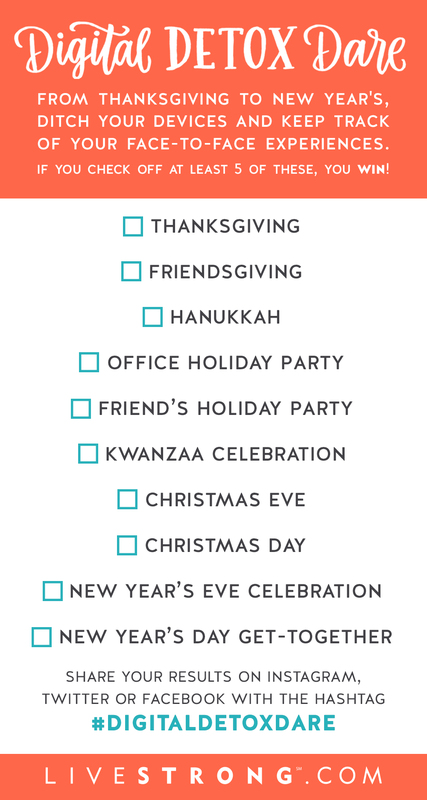 Use LIVESTRONG.COM's printable checklist to keep track of your device-free holiday celebrations. 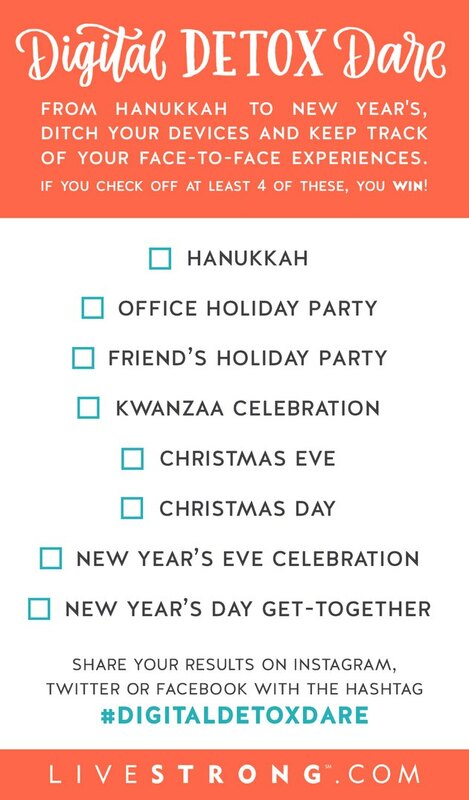 Whether it's Hanukkah, Kwanzaa, Christmas Eve, Christmas Day, New Year’s Eve, New Year’s Day or any of the holiday parties in between, see if you can check off at least four. We've created customizable invitations you can either print out or email before your holiday get-together to let them know you're looking forward to celebrating sans smartphone this year. Post about your experiences using the hashtag #DigitalDetoxDare on Instagram, Twitter or Facebook. You can also join the LIVESTRONG.COM Challenge group on Facebook to share with others doing the dare. Tell us about one conversation you had with a family member that went beyond small talk. Or journal about it (once everyone's gone, of course). Want an even greater challenge? Force yourself to ditch your cell (or at least put it on silent) whenever you're in public. That frees you up to chat with your barista, strike up a conversation with the cashier at the grocery store or talk to the mom sitting next to you at your daughter's soccer game. Do you think you can make it through all your holiday parties without your cellphone or other digital device? Will you invite your friends and family to join you? If you're participating, let us know how it goes! 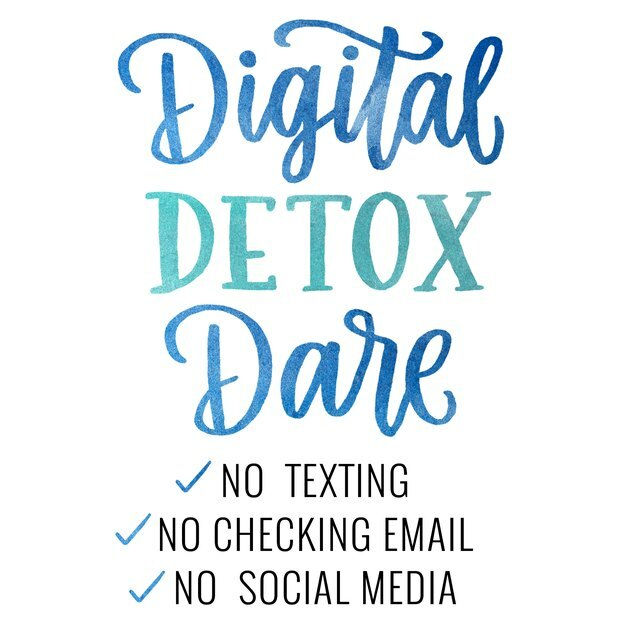 Share your stories and suggestions in the comments below or on Facebook, Twitter or Instagram with #DigitalDetoxDare.